In UK law, employers have a legal responsibility for ensuring the health and safety of their workforce but doing so makes commercial sense too. Simple proceedures can avoid costly litigation and compensation payouts for serious injury or even death, not to mention the impact of bad publicity on a business. And, after all, few employers would want to cause the death or injury of one of their employees. 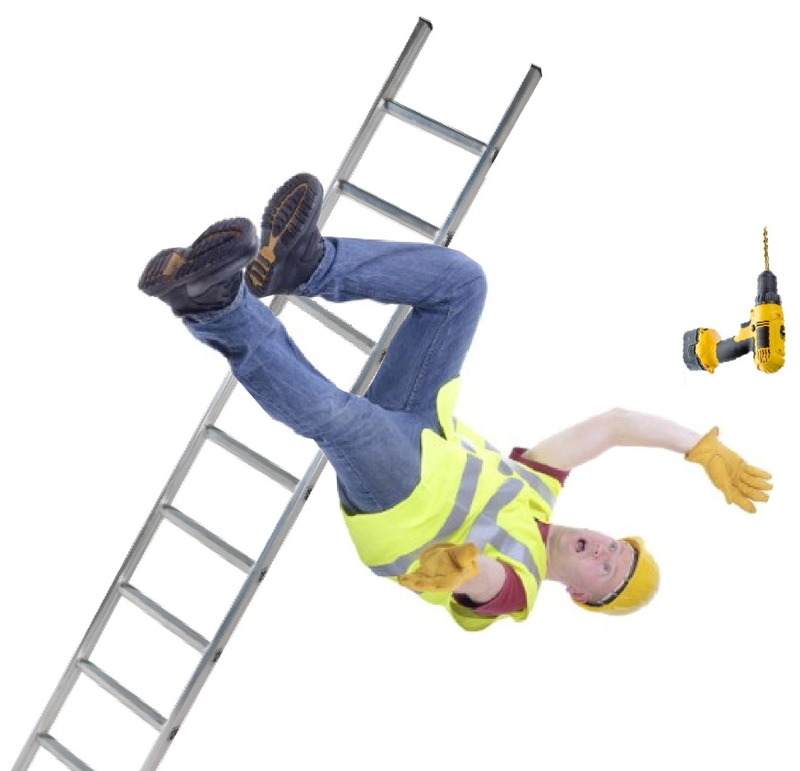 One of the biggest single causes of falls from height accidents in the UK are ladders, or the use of them. People quite often overeach themselves on a ladder rather than getting down, re-positioning the ladder and climbing back up. Such shortcuts can be catastrophic as official statistics show. Aside from health and safety training for employees, as an employer, you can minimise the risks of employees taking short cuts on ladders by stabilising them using the revolutionary Ladder Grips ladder safety device. Ladder Grips improves ladder stability by up to 350%. Tests have shown that even where ladders have been placed on castors or an an angle and climbed, the ladder still holds firm. Now of course, we never recommend placing ladders on castors or at an angle before climbing them, but, it demostrations just how effective Ladder Grips are in significantly reducing the risk of unecesary ladder accidents. Don’t put your employees at risk - order your Ladder Grips today!